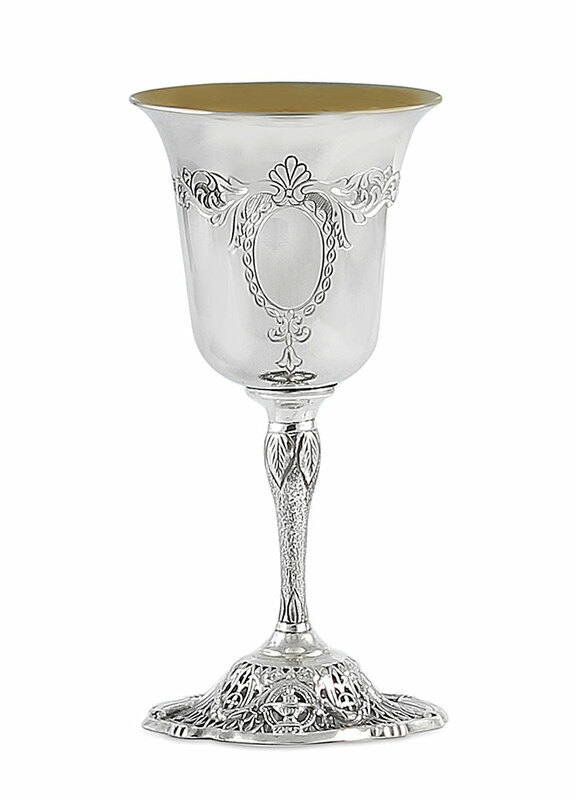 925 Sterling Silver Kiddush Cup, hand made with beautiful detailed chasing and filigree. The interior is gilded as shown.Sterling silver, the ultimate in Jewish gift giving for centuries. Sterling silver has the unique characteristic that makes it a gift of choice, with a sterling silver gift you know it will be preserved and handed down for generations to come.